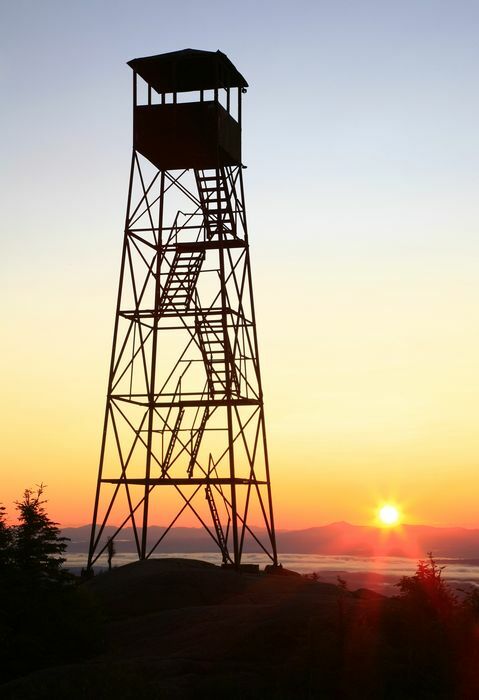 The historic Hurricane Mountain firetower, now abandoned, sillouetted by a rising sun over Camel's Hump, Vermont. The Champlain Valley lies cloud covered in between. Photo © copyright by Johnathan Ampersand Esper.